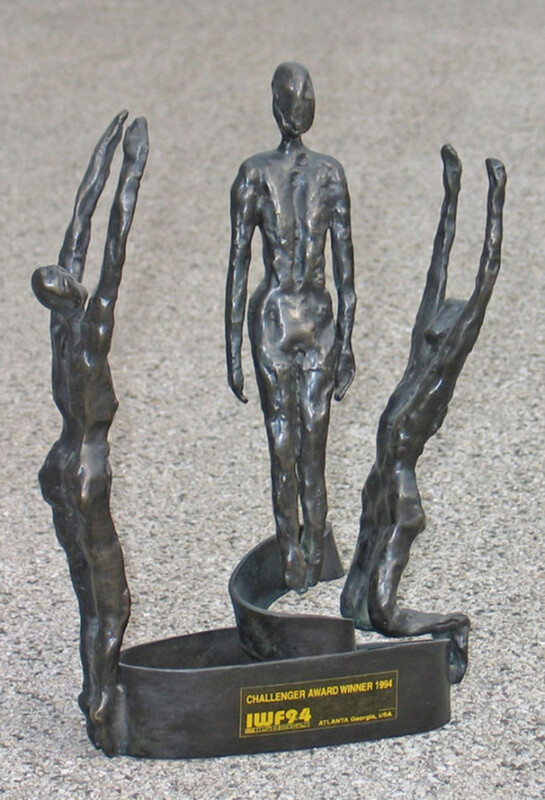 Original and innovative approaches to finding solutions, creative thinking focusing on the needs and requirements of the profession as well as consistent and optimal implementation resulted in a major technological development and winning of the global market over last 20 years. "With our customers we have earned reputation of being a reliable partner, listening to their wishes, meeting their demands and always completing the task. Development has always been our challenge and after one goal was achieved, a new one was set, in a true sporting spirit." 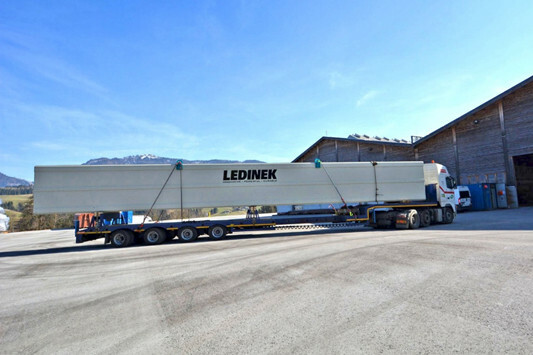 Gregor Ledinek establishes the company Ledinek Engineering, which eventually takes over the development and sale. The development includes new high-speed industrial machines and complete lines with which the company makes to global markets. 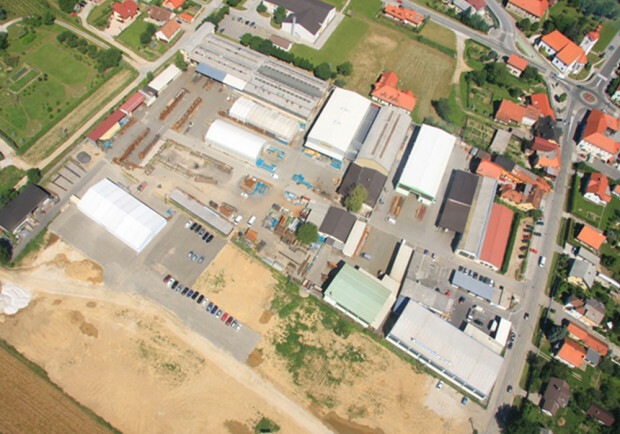 The expansion of production facilities at the location of the former factory Atmos, today Plant 2 and the establishment of the company LMA in Austria Bleiburg. 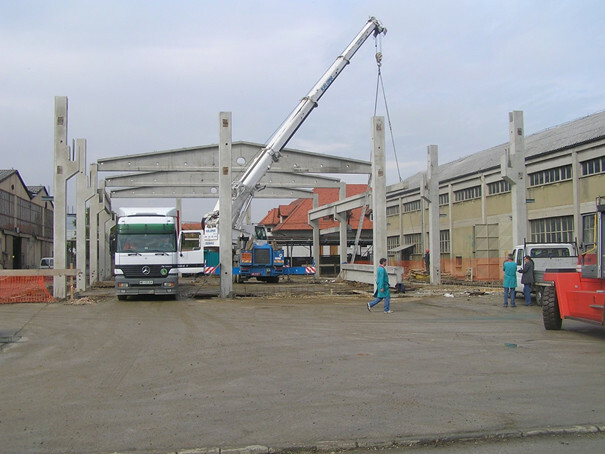 The premises of Ledinek Engineering at the site of the former crane factory Atmos. 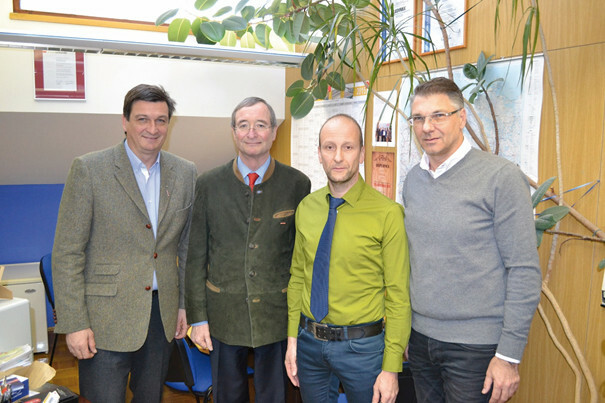 Visit of Presidents of Austrian and Carinthian Chamber of Commerce at the LMA headquarters in Bleiburg, January 2015. 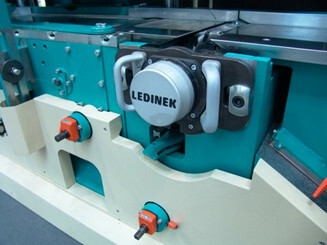 Ledinek exhibits for the second time at IWF in Atlanta (USA) and wins the Challenger award for its innovation the ROTOLES system, in the field of woodworking. 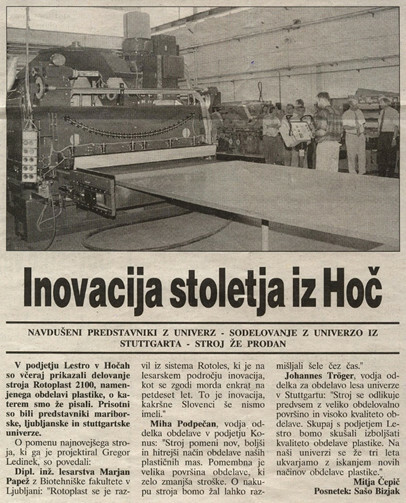 On the basis of the Rotoles system, the Rotoplast machine for calibrating of plastic elements was developed in 1995. 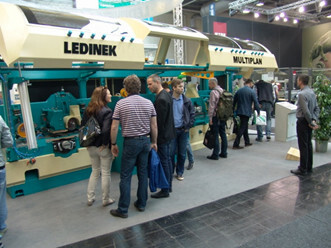 Ledinek-Tec is established to cover sales activities on the German market. 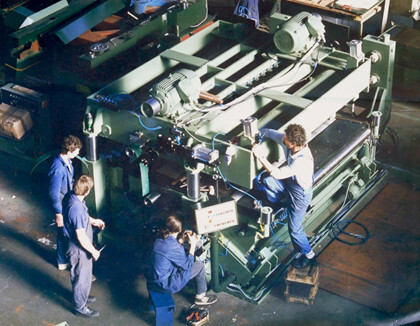 Assembling the Superles 2500 machine for a German customer, Hoče 1991. 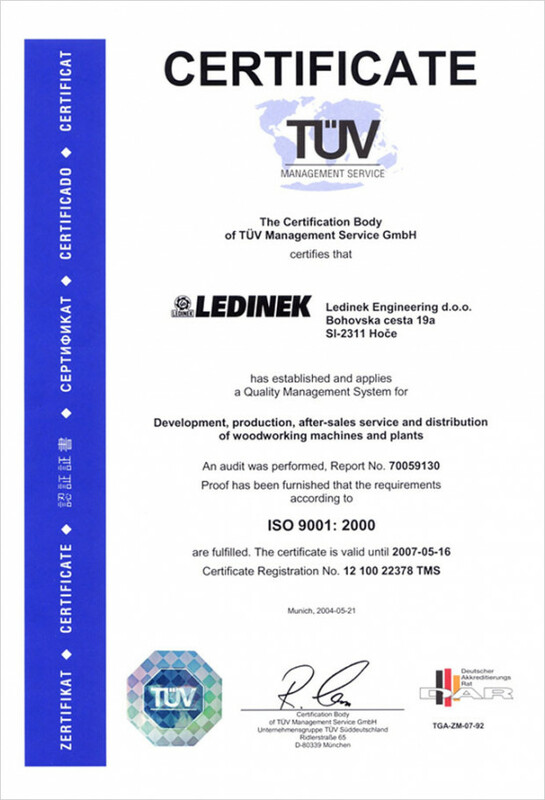 LMA acquires the ISO certification and Ledinek Engineering follows in 2004. 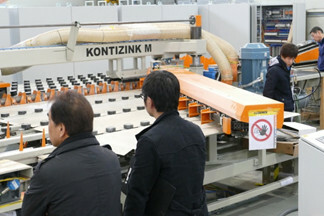 Development of complete lines for finger-jointing and laminating – glue lam lines. 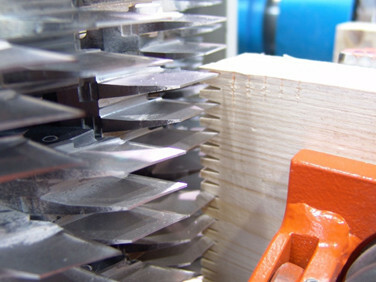 The KONTIZINK system of jointing is developed and patented. 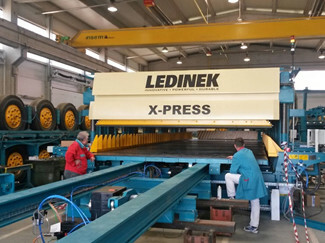 The opening of the LEDINEK representative office in Moscow and building of the new production hall in Plant 2. 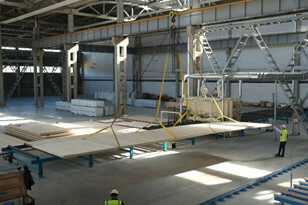 Expansion of development and sale of new technologies for the production of CLT elements, above all patented presses for CLT elements. 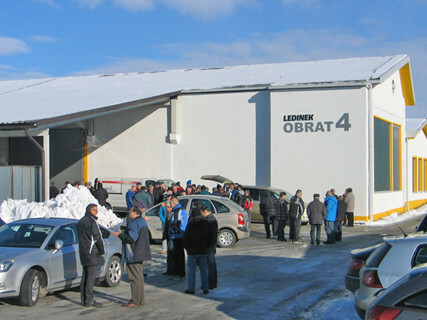 New training facilities are purchased in Hoče, Plant 4. 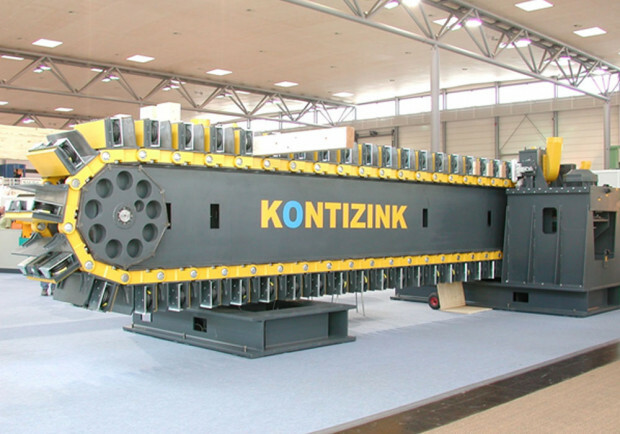 The new high performance KONTIZINK-M machine with the capacity of 150 pcs/min is developed and patented. 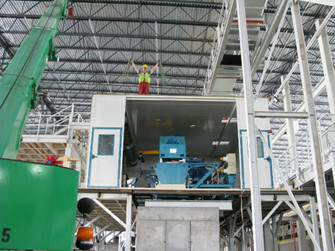 Development of high performance CNC controlled profile planers and complete lines. "Our goal is to be an innovator and to shape the trends of modern woodworking profession. We take our own way to the top. Join us and you will overcome your competition."